Item number 2956/166 from the MOA: University of British Columbia. Triangular wooden sculpture depicting ‘Path of Life’ scenes. 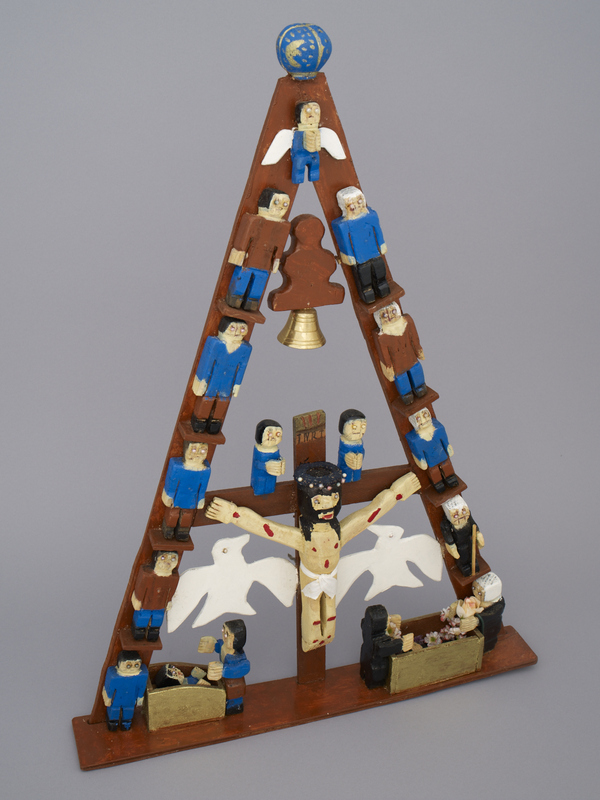 The sculpture shows carved figures ascending the sides of the triangle in different life stages from birth (baby in basinet at base) to death (man in coffin at base). 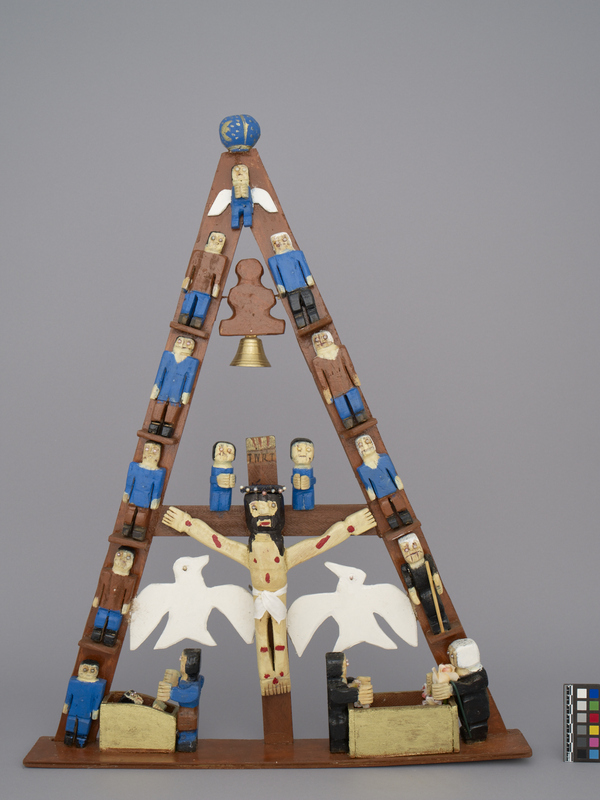 Christ is shown on a cross in the centre of the triangle near the base with a dove to each side. 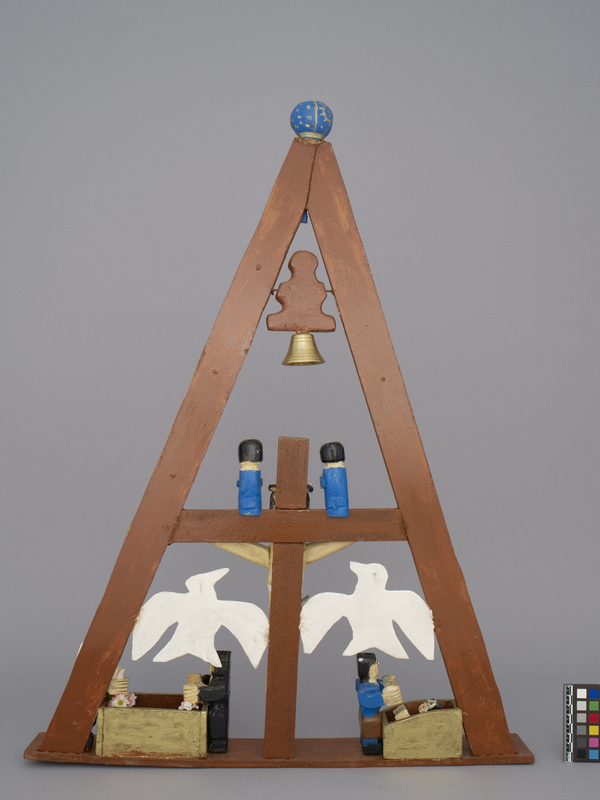 There is a gold metal bell hanging above the cross, and a blue and gold globe atop the triangle.